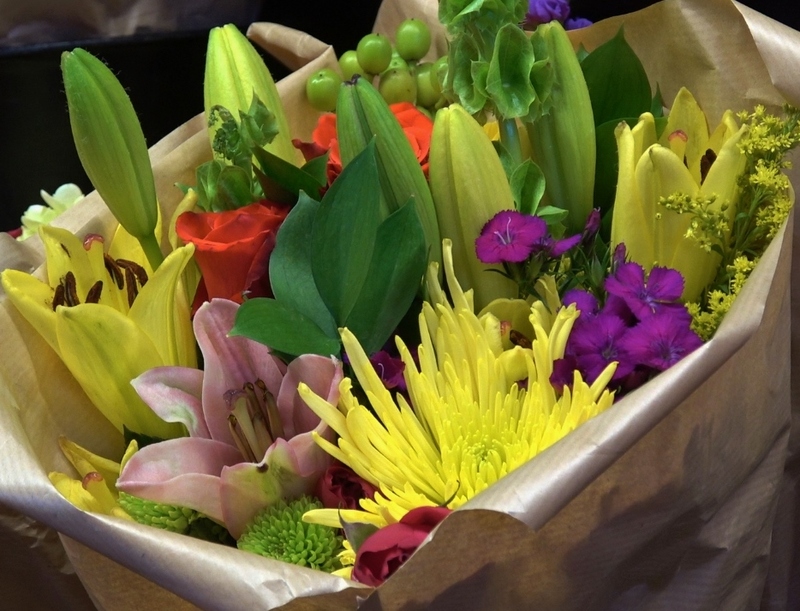 Fresh cut flowers will last longer with proper care. Simple steps to keep flowers looking fresh! Fill a vase with room temperature water. Stir in a packet of flower food aka. commercial preservative. Read the packet for how much water to use. Make a fresh cut to remove about 1-2 inches off the end of each stem and place it in the prepared container. Keep cut flowers out of direct sun and heat. Cooler temperatures will prolong their life; changing the water every 3-5 days, and adding new preservative will also help prolong their life. Why do some flowers last longer than others? Some flowers have the genes to last a long time: chrysanthemums, daisies, and carnations can last well over a week. Roses may not last as long, but their beauty and scent still make them a favorite. Tulips will last and continue to grow in a vase, making an artistic arrangement of their own. 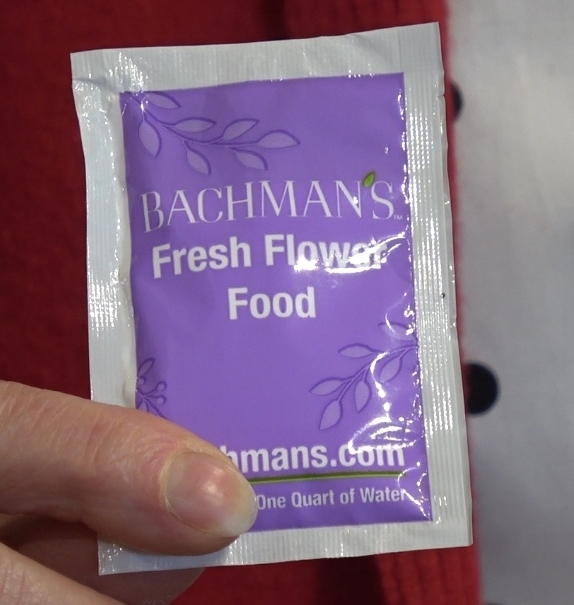 Research shows that the commercial flower food adds needed sugars, eliminates bacteria and adjusts the pH of the water to make the sugar and water easier to be taken up by the flowers. Rather than try home remedies or tricks, soda, pennies, nails or other ingredients, simply open and stir in a commercial packet of preservative, a proven method to keep your flowers a cut above the rest.